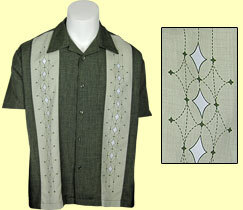 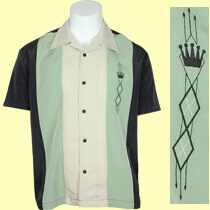 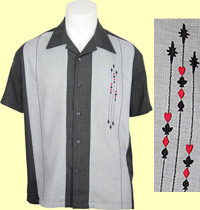 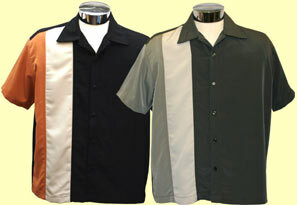 A Daddy-O's- bowling shirts, rockabilly, swing, and 50's retro clothes and shirts. 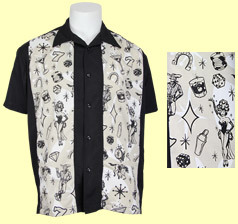 If you're into rockabilly, swing, lounge, or just looking for some cool retro threads, our incredible selection of clothes will certainly make your head spin. 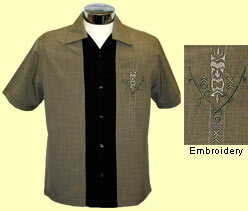 Unless specified as "Temporarily Out Of Stock" all items are available and ready to ship. 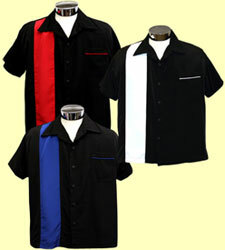 There Are 5 Pages Of Shirts. 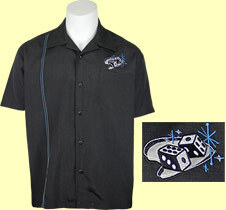 Click Below To Go To A Specific Page. 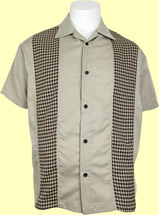 You Are Now On Page 5.